Cryoballoon pulmonary vein isolation (PVI) is commonly used for rhythm control of atrial fibrillation (AF). Data are limited examining the outcomes of cryoballoon PVI in patients with systolic dysfunction. We evaluate the impact of cryoballoon PVI in patients with systolic dysfunction. We evaluated a single-center prospective registry of patients undergoing cryoballoon PVI between 8/2011 and 6/2016. Patients with systolic dysfunction (EF < 55%) between the time of AF diagnosis and their cryoballoon PVI procedure were assessed for AF recurrence at 6 months and 1 year post-procedure, with a 3-month blanking period. Final analysis included 66 patients with systolic dysfunction undergoing cryoballoon PVI. An AF diagnosis for ≥ 1 year prior to PVI was present in 62.1% (n = 41), and 53.0% (n = 35) had systolic dysfunction for ≥ 1 year pre-procedure. The proportion of AF-free patients at 1 year was 51.5%. Of patients with echocardiograms performed at 1 year (n = 43), a greater proportion of individuals without AF recurrence had an improvement in EF of ≥ 10% than in those with AF recurrence (54.2% vs. 25.0%, p = 0.039). Of the patients who had systolic dysfunction at the time of the ablation (EF < 55%), there was a significant increase in EF post-procedure (36.5% pre-procedure vs. 48.3% post-procedure, mean change 11.8%, p < 0.001). In patients with systolic dysfunction, cryoballoon PVI provides an acceptable AF recurrence-free rate at 1 year. AF recurrence-free individuals were more likely to have improvement in EF. 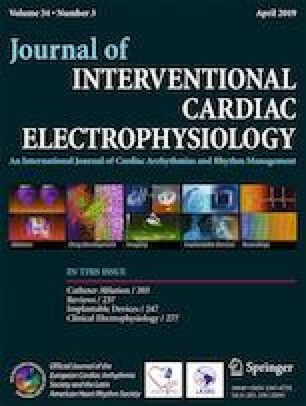 Further evaluation is needed to determine the potential role of early cryoballoon PVI in patients with a new diagnosis of systolic dysfunction and AF. All procedures performed in studies involving human participants were in accordance with the ethical standards of the institutional research committee and with the 1964 Helsinki declaration and its later amendments or comparable ethical standards. This was a retrospective review of a prospectively managed database. Norman Wang, Boston Scientific funding; Evan Adelstein, Medtronic funding; Samir Saba, Boston Scientific and Medtronic funding; and SJ, Medtronic funding. Remaining authors have no conflicts of interest to disclose. The study was approved by the University of Pittsburgh Institutional Review Board.